Raj Nair, who becomes Ford's new North American chief June 1, is head of product development and chief technical officer. Ford Motor Co. announced a number of executive changes following the appointment of Jim Hackett on Monday as its new CEO. The sweeping changes, which involve nearly every part of the company’s global operations, come as Hackett looks to streamline operations and clarify the company’s strategy. Executive Chairman Bill Ford said earlier this week the automaker has become bogged down in bureaucracy that has slowed decision-making. In a statement on Thursday, Hackett said: “The leadership changes we are announcing today across our global business are important as we foster even greater teamwork, accountability and nimble decision-making." Raj Nair, 52, will lead Ford North America as the president of the Americas position, previously held by Joe Hinrichs, is eliminated. Lyle Watters remains president of South America. 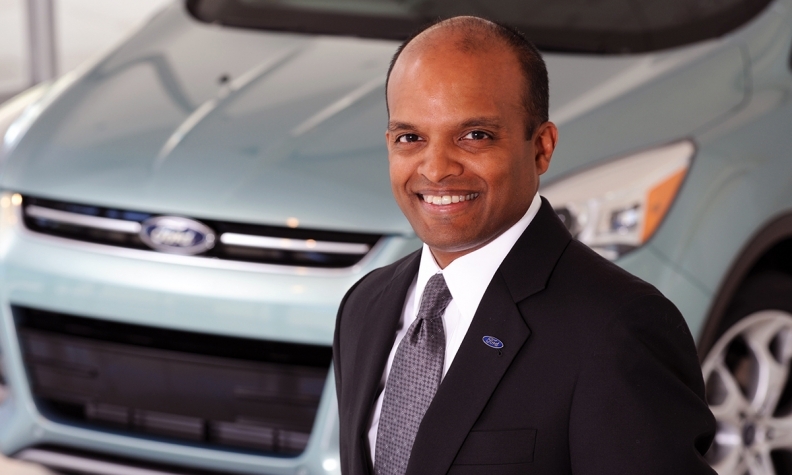 Nair, 52, is Ford’s head of product development and chief technical officer. His appointment is effective June 1. Hinrichs was named president of global operations on Monday. 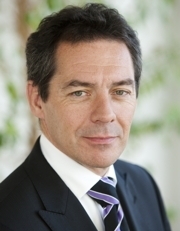 Steven Armstrong, 52, is Ford’s new president of Europe, Middle East and Africa effective June 1. He is COO of Ford of Europe and was responsible for the automaker’s sale of Volvo to Zhejiang Geely Holding Group in 2010. He takes over for Jim Farley, who is moving back to the U.S. as president of global markets. Peter Fleet will lead Ford Asia Pacific and becomes CEO of Ford China. Dave Schoch retires after 40 years at Ford. He was previously president of Asia Pacific and chairman and CEO of Ford China. Armstrong oversaw Volvo's sale to Geely. Hau Thai-Tang will lead global product development and purchasing. Sherif Marakby, following a stint at Uber, will return to Ford as vice president of autonomous vehicles and electrification. Ken Washington becomes vice president of research and advanced engineering as well as chief technology officer. Neil Schloss becomes vice president and CFO, mobility. Kenneth Kent becomes vice president and treasurer. Bradley Gayton is named group vice president, chief administrative officer and general counsel. Jeff Lemmer becomes chief operating officer, information technology. Mark Ovenden becomes vice president of marketing, sales and service in Asia Pacific. Hackett told Bloomberg on Monday: "It’s a great opportunity to actually shrink my team, but it isn’t about me being disconnected; it’s actually pushing down some of the responsibility. I’m working on shaping that to be a lot smaller group of people." Nair, Fleet, Armstrong, Marakby and Ovenden will report to Farley. Kumar Galhotra, president of Lincoln; Stephen Odell, vice president of marketing, sales and service, and Watters all remain in their roles and will also report to Farley. Nair's appointment means Ford of Canada CEO Mark Buzzell now reports to him. "Raj has successfully led Ford operations and teams around the world, including North America, South America, Europe and Asia Pacific," Buzzell said in a statement to Automotive News Canada. "I look forward to working with one of the most well rounded and globally experienced senior leaders on the Ford team." Thai-Tang will report to Hinrichs. Bruce Hettle, group vice president of manufacturing and labor affairs; Kim Pittel, vice president of sustainability, environment & safety engineering; and Bennie Fowler, group vice president of quality and new model launch, will all remain in their roles and also report to Hinrichs. Ford Smart Mobility CEO Raj Rao; Paul Ballew, global chief data and analytics officer; Lemmer; and Schloss will report to the newly named mobility chief, Marcy Klevorn. Hackett will get eight direct reports: Felicia Fields, group vice president of human resources and corporate services; Bob Shanks, CFO; John Casesa, group vice president of global strategy; Farley; Hinrichs; Klevorn; Washington; and Gayton.